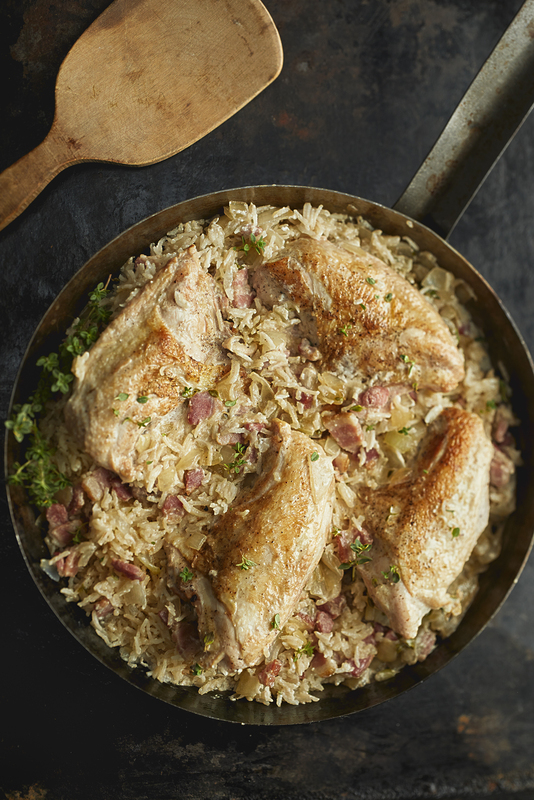 Delicious one pan pilaf with chicken pieces coconut milk and fragrant basmati rice. 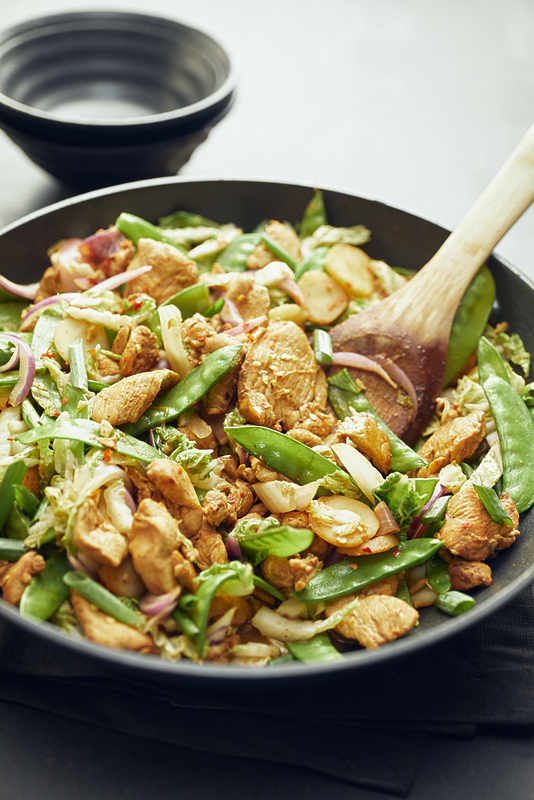 A quick, flavourful stir fry with chicken breast, crunchy water chestnuts, Chinese cabbage and show peas. 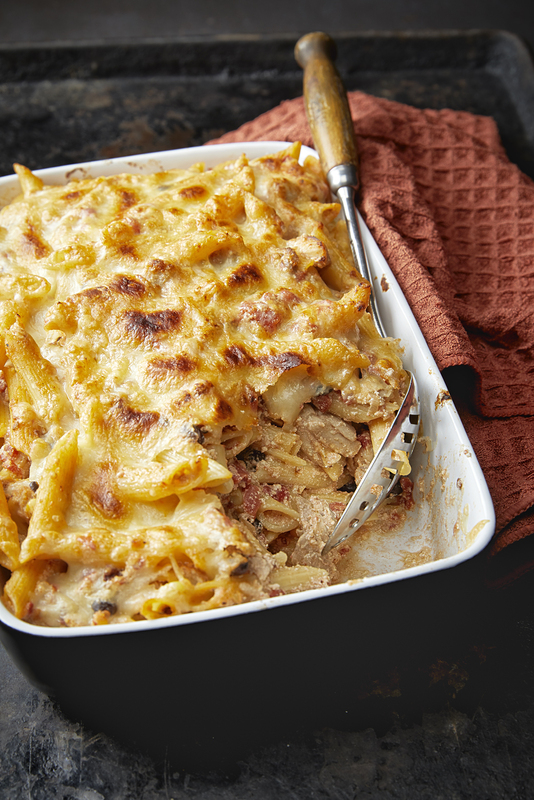 Mexican influenced chicken and pasta casserole with chipotle chilis and creamy ricotta cheese. 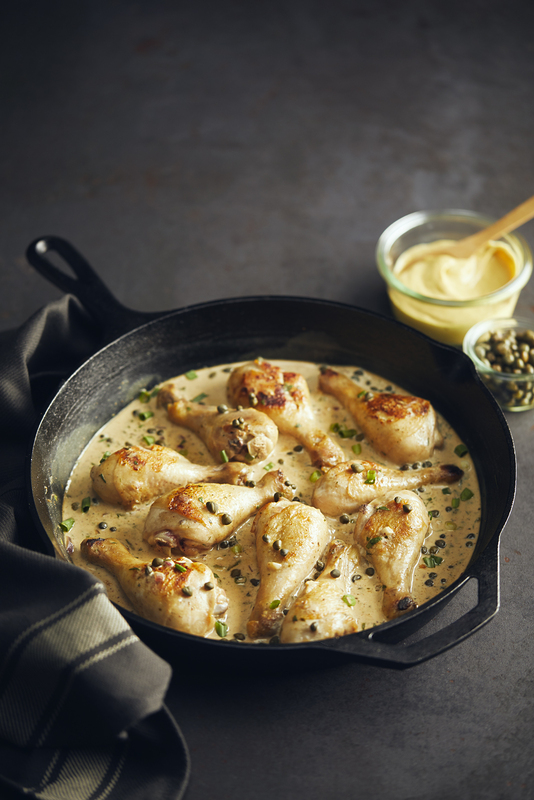 One pan chicken recipe with flavourful Dijon mustand, sour cream and tarragon. 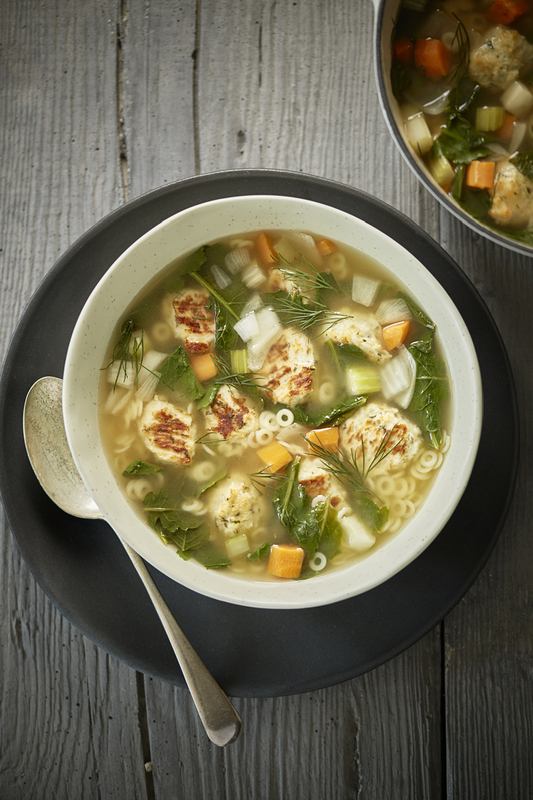 Quick, delicious dinner option made with only a few pantry staples. 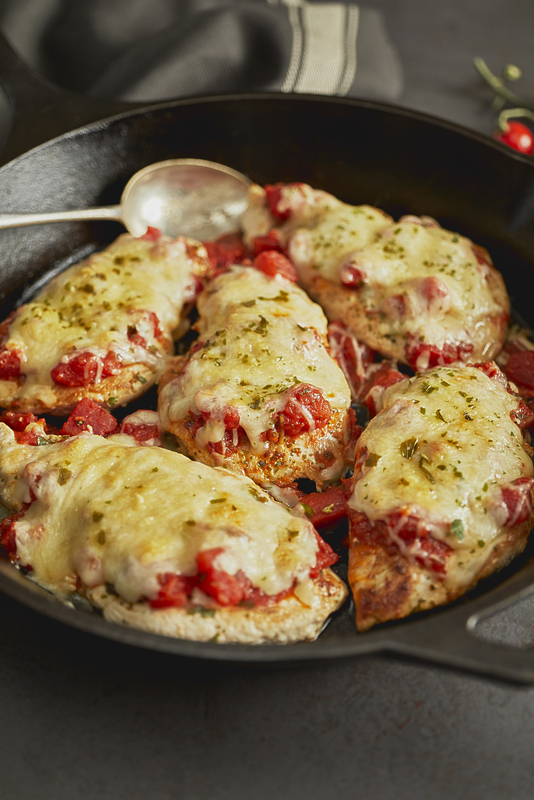 Uses prepared bruschetta topping that can be purchased in grocery stores where you find tomato sauce. Delicious served over pasta or rice. 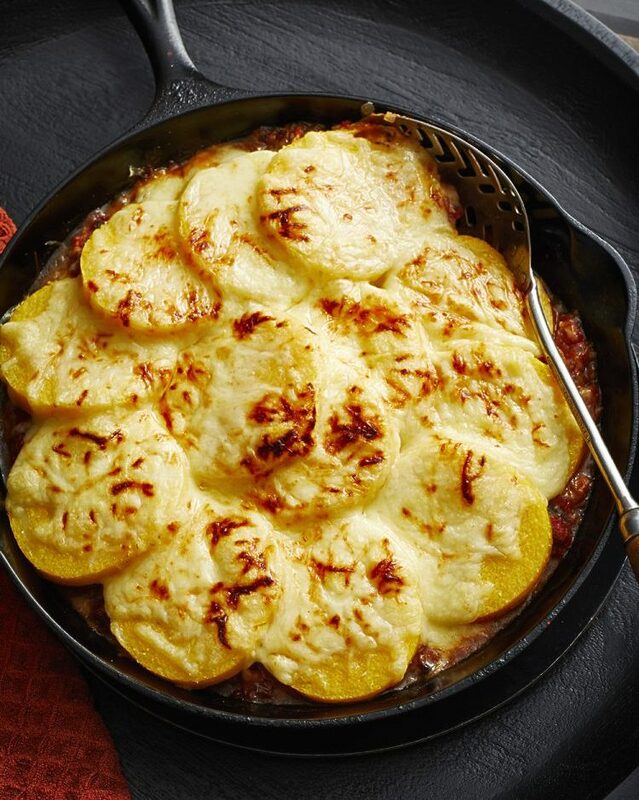 A rich meat sauce topped with polenta and cheese - this is comfort food! 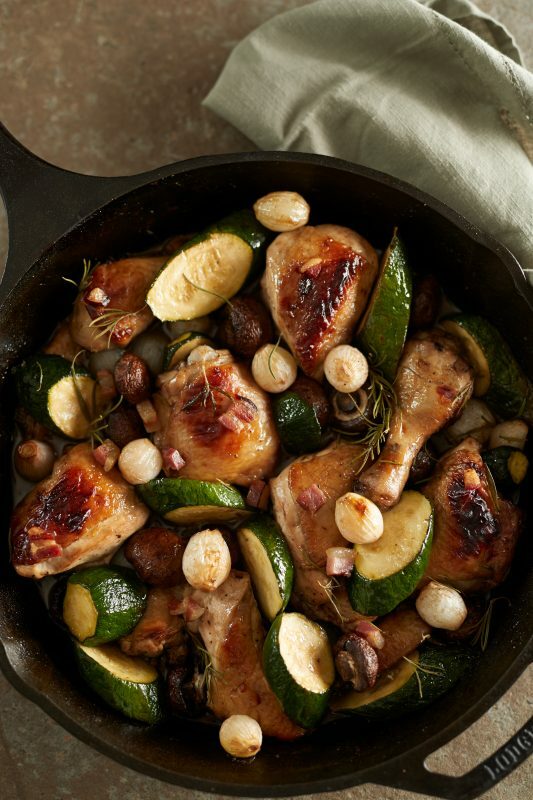 Wine braised chicken pieces with mushrooms, onions and zucchini. 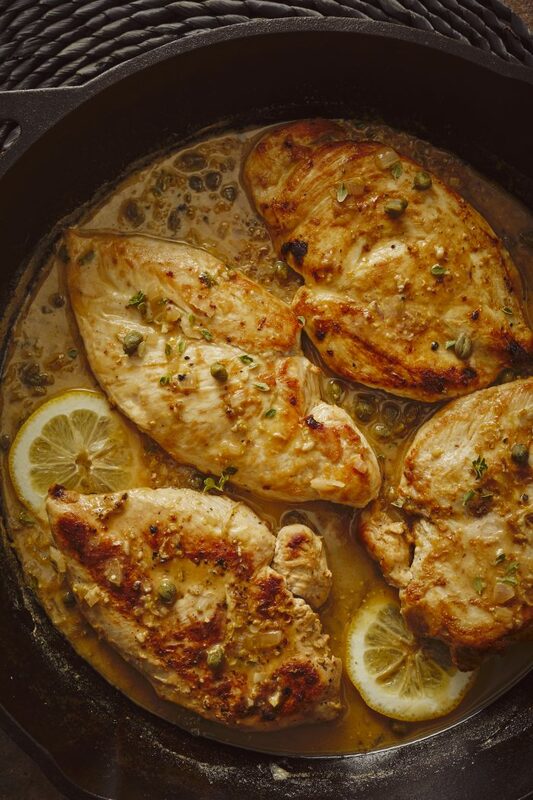 Pan fried chicken breasts with a white wine and thyme sauce. Easy enough for a weeknight, elegant enough for a special occasion. Comfort in a bowl! 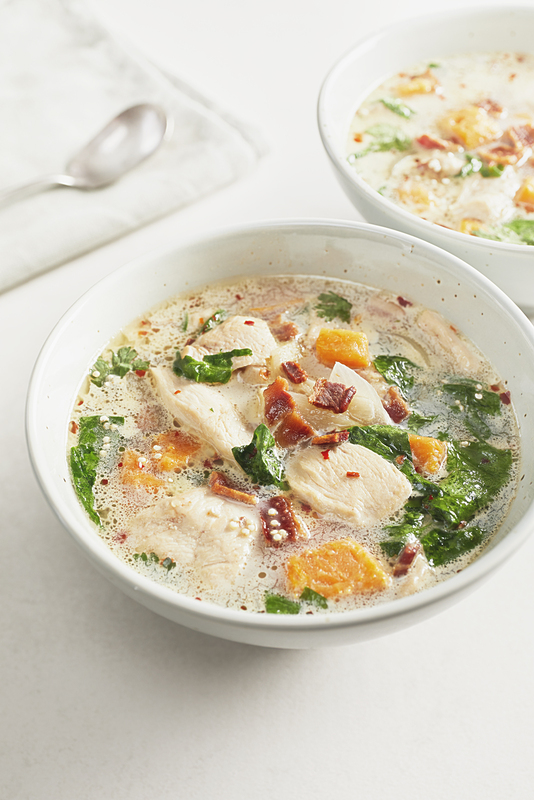 This is one of our favourite soups.